« Assistive technology isn’t just for people! This semester, three mechanical engineering students from MIT and I, an occupational therapy student from BU, are responsible for creating a dogcart for our client who has osteopetrosis, in which her bones harden and become denser that causes her to fatigue easily. 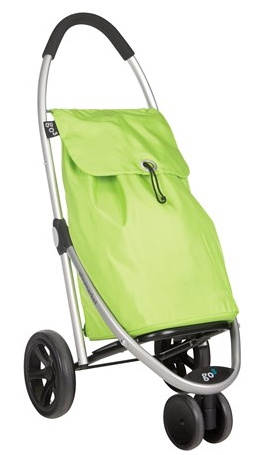 Our client currently uses the Playmarket Go 3 Shopping Trolley Cart (image below) and explained that it has been hurting her hands, hence the reason for wanting a dog cart. She ideally wants this device for grocery shopping as well as for daily outings. Our client wants it to go onto the T and buses, and to be used on the street regardless of the weather and terrain. Also, she wants it to go able to easily go through security checks. She is currently training her Black Mouth Cur service dog, Orenda, whom she only had for three weeks. The first prototype was inspired by current dog carts available on the market. This prototype took into consideration some of her requests. It included two long arms extending from the cart to Orenda. It also included a large enough space for our client’s groceries. In addition, two large, 20” wheels were included to be able to go over curbs. 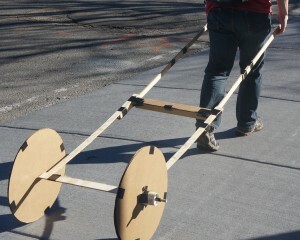 After trialing the prototype, the mechanical engineer students realized that the arms were too long and could be shortened and the width of the cart could be halved. They also realized that Orenda’s harness is too big for her and is lacking two rigid attachment points necessary to attach Orenda to the cart. 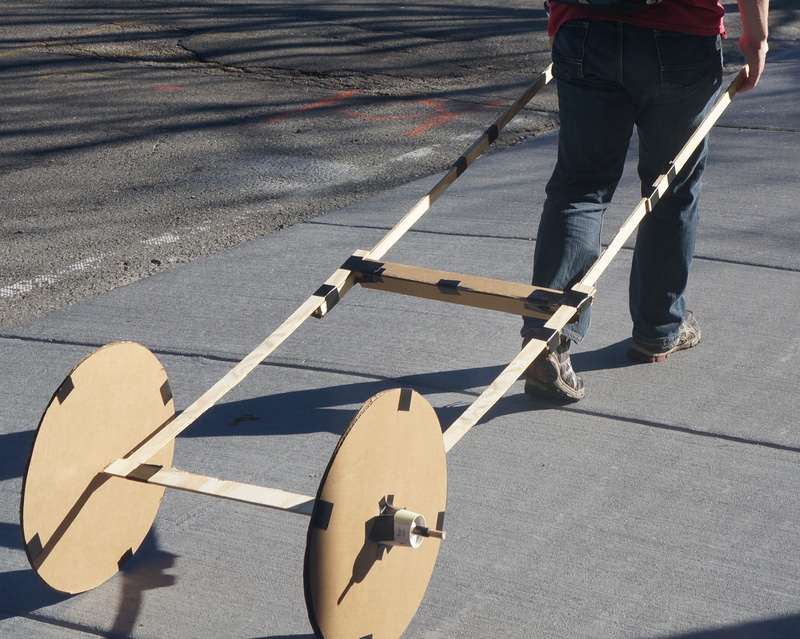 For the second prototype, we are considering having a three-wheeled cart that is similar to her current cart for easier and efficient maneuverability. We are also considering a cart with a large handle that our client could potentially use to physically pull the cart when needed. We sent our client an email to ask her questions regarding our current ideas for the second prototype. 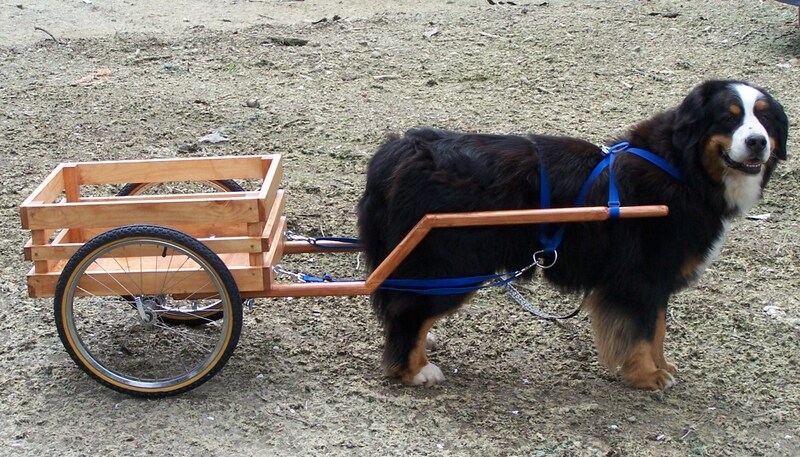 By asking for her input, we will be able to design a dog cart that is best suitable for our client and her needs. This entry was posted on Friday, October 23rd, 2015 at 5:31 pm and is filed under Uncategorized. You can follow any responses to this entry through the RSS 2.0 feed. You can leave a response, or trackback from your own site.